Welcome to Funnytree professional photography backdrop. High-resolution printing images: the background is clear, vivid, and gives a strong stereoscopic feeling. High-quality cloth material (Polyester): feels smooth and soft, like a pillow, can be washed to keep clean, no wrinkles, reusable, environmentally friendly. We can customize any size for you (6x8ft,5x10t,8x8ft,10x10ft,10x20ft), and we can also print your own picture as backdrop. Pls contact with us if you need. The main picture of the product is to show the effect. 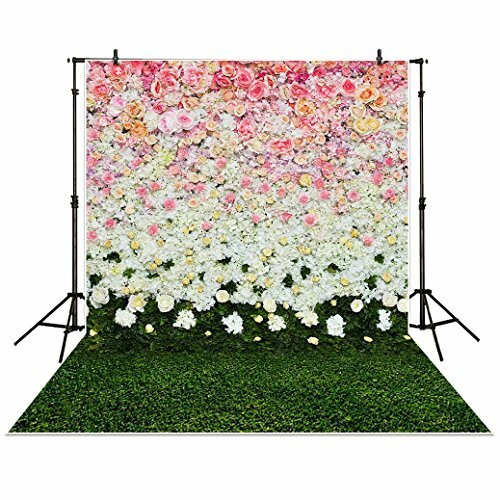 Backdrop stands are not included, only the backdrops are. To facilitate transport and packaging, backdrops will be folded in shipment . 1). Use a steam iron to heat the back of the item, then it will become smooth. 2). If the backdrop is dirty and has stains, put it into the washing machine, and then dry it in the air. You need to keep some distance from the backdrop when taking pictures. Also some large pictures may seem a little pixelated when viewed closely. but I make sure that only suitable images are used for the backdrops to provide the most realistic look. Size:5ftx7ft (150CM width x 215CM height);Item send by folded, easy to carry. Color: Vibrant colors, use high resolution pictures and high-tech digital production equipment, carefully printed by inkjet printer, glare free. Usage: It can be used in Photography, Birthday, Party, Wedding, Festival Decoration and so on. If you have any questions about this product by Funnytree, contact us by completing and submitting the form below. If you are looking for a specif part number, please include it with your message.